SKU: 1453. 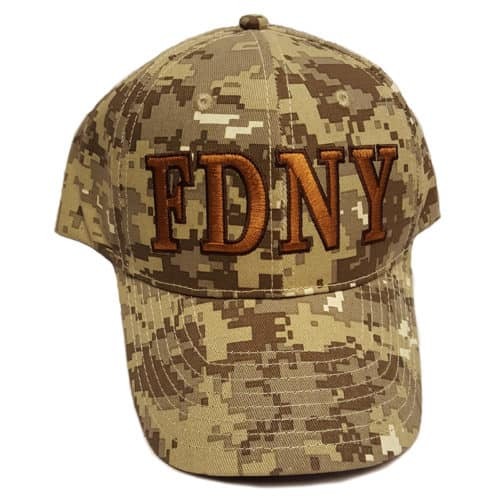 Category: Hats. 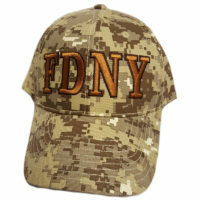 Tags: camo, camouflage cap, FDNY supports our troops, new item, support our troops. 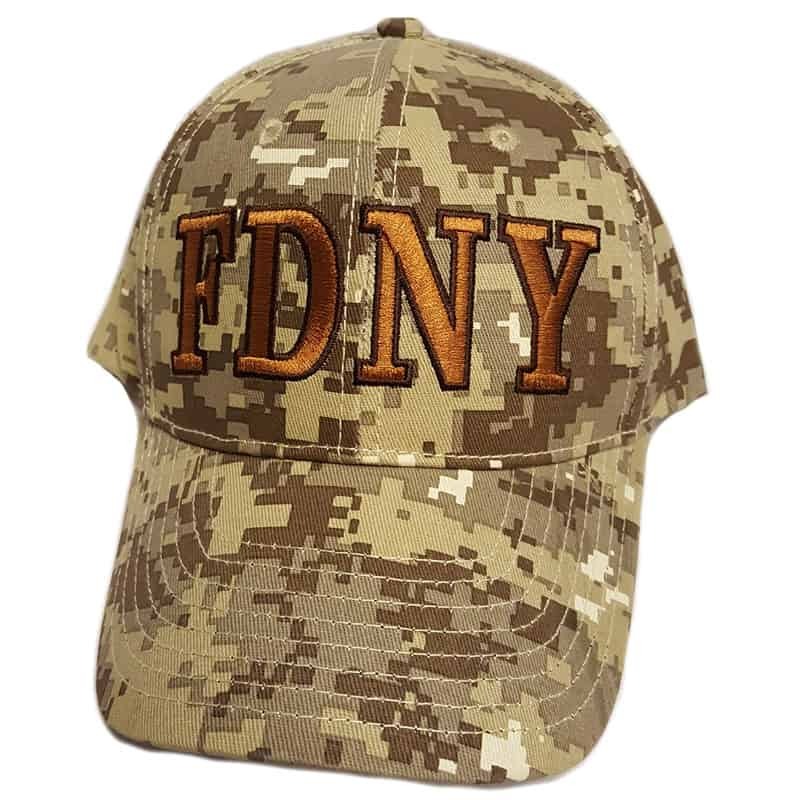 Embroidered FDNY on tan digital camouflaged background. 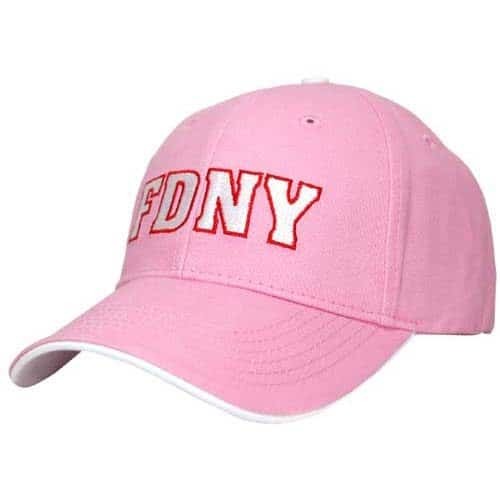 Never Forget embroidered on back.